With the endorsement of our adept and seasoned professionals, we are engaged in offering a commendable range of Plywood Pinch Roller. 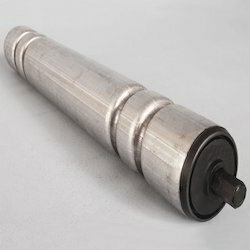 The offered rollers are manufactured by making use of high-grade raw material and leading technology in synchronization with the set industrial norms. In line with clients variegated requirements, we offer the entire range in various customized options. Our offered rollers are packed with cutting-edge features to enhance their functionality. 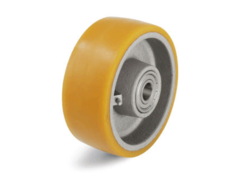 Made available in different lengths and diameter choices, these Feed Roller choices find a use for polyurethane covering and form part of rotational casting/ribbon flow molding process. 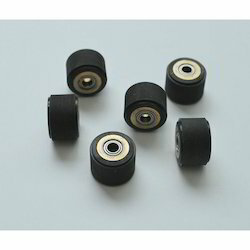 Featuring superior surface quality, these rollers can also be offered in other dimensions and different types of flat ribbed finish as per the required by the customers. Some of the areas these are used in include for industrial crushers and grinders. Coming tested for dimensional accuracy & compliance with defined industry standards, these are also suitable for use in conveyor systems among other places. Coming with formed groove support for urethane belts, Grooved Rollers can be offered by us in standard formed groove sizes as well as different standard v-belt size options. Finding use in combination with urethane belts, these rollers find extensive use in not so demanding/light load bearing applications like in line shaft conveyor. Further, these can also be used to power accessories. Finding specific use with v-belt conveyor, we can offer it in defined groove sizes as well as per the profiles of V-belt groove provided by the customers. We have Contact Drum Rolls, especially for plywood Industries. Our offered range is strongly built with quality raw material and the latest technology. We assure that our offered range is outstanding on counts of reliability and quality. 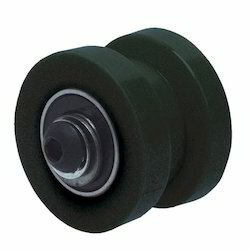 Grooved Conveyor Roller offered to come in the quality constructed finish and come with carbon steel ball which makes these capable of handling high loads. Further, these provide for longer service life as well as meet the demands of quiet working operations. 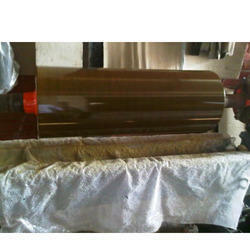 Looking for Plywood Industries Roller ?